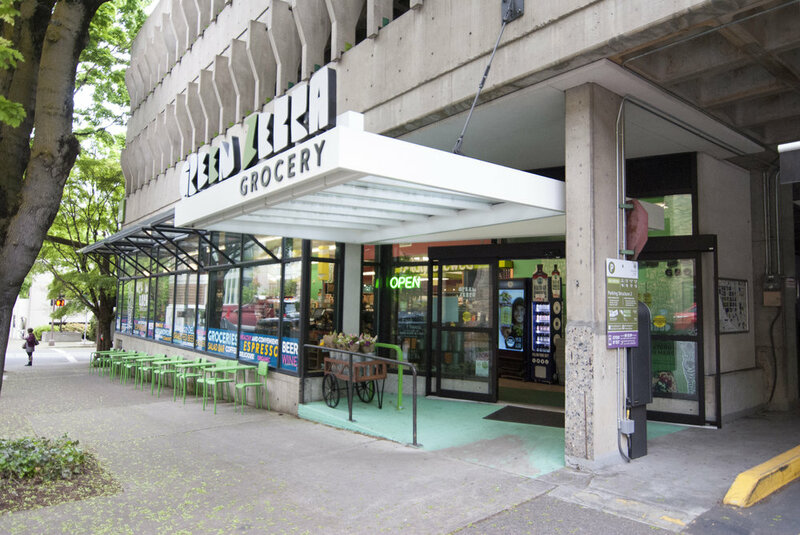 Working with King Retail Solutions, Dominek Architecture helped Green Zebra Grocery merge the ideas of neighborhood corner grocer with sustainable, healthy food and drink options in a one-stop shop. Their newest location brings that concept to the students of Portland State University. Re-purposing a vacant retail space in the heart of campus, the new store is conveniently located near both classes and student housing. Adaptive-reuse projects are full of unique challenges and this location is no different, including a complex existing concrete slab configuration over the existing parking garage structure, and the need to retrofit the existing HVAC system for a modern energy code.